Dr. Amy Herrington has 30 years experience as a registered nurse. Her passion is patient safety and improving patient outcomes utilizing evidence-based solutions. This passion drove her practice as an Emergency Department Patient Care Manager and Staff Development Specialist at a large tertiary care facility in central Kentucky, which led to improved patient satisfaction, nurse satisfaction, and quality metrics through the establishment of stroke and myocardial infarction alert process as well as an active quality improvement committee. She is a Certified Emergency Nurse (CEN) and she has presented at multiple forums and programs. Dr. Herrington has written and edited chapters in several emergency nursing resource manuals as well as nursing theory texts. She has held multiple teaching positions in both the traditional and virtual educational settings and greatly enjoys working with and inspiring students to reach their full potential. 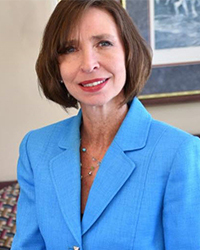 Professionally, she is a member of the Emergency Nurses Association, American Nurses Association, Sigma Theta Tau and the Kentucky Nurses Association where she serves as Chairman of the Government Affairs Cabinet. Additionally, she has served various roles that KNA Bluegrass District including president of the chapter.